We all love to sing and there is no doubt about that. However, singing without background music and lyrics seems a little odd. But thanks to the bunch of best karaoke apps for iPhone available on the Internet. We can now sing songs and enjoy it on the go. However, when you look at the Apple App store, there are a hell lot of karaoke apps for iOS. So the question is which are the best karaoke apps for iPhone? First of all, we have the Karaoke – Sing Unlimited Songs iOS app. This one is one of the best karaoke apps for iPhone available for free of cost. With the help of this app, you will be able to sing from an endless catalogue of music videos. You can also record your voice of your favourite songs plus you can share them on social media sites. Also, you can connect to your friends on the app and vote their recordings. Also, the app regularly updates itself with the latest music, or you can download your own favourite songs to the app. Moreover, the app enhances your voice with echo and music effects. Hence, as a result, you sound great. In addition to that, the app also offers you a bunch of video effects. At the next, we have the StarMaker which is also a popular app that you can try out. The app comes with lots of popular songs that you can along. Plus it offers you a collection of endless songs which will help you to sing a new song every time you launch the app. Also, all the songs are available in high-quality audio. Talking about some of the top features, well the app has a collab mode. Using this mode, you will be able to partner with your friends or your favourite artists. Also, it offers you features like vocal guidance, real-time pitch correction and a wide range of amazing g voice effects. This will definitely make you sound the best. We are sure that you have heard about Smule. 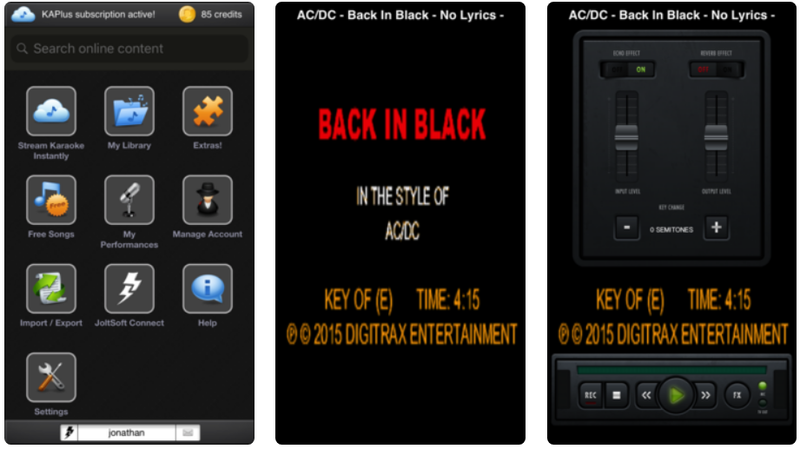 It is one of the top karaoke apps for iPhone and iPad users. Plus the app is completely free to use. By using this app you will be able to sing karaoke. Since the app is offering you millions of songs and lyrics free of cost. You can also sing solo or duet to songs. In addition to that, you can sing a cappella, dance, play along, or just enjoy the show. 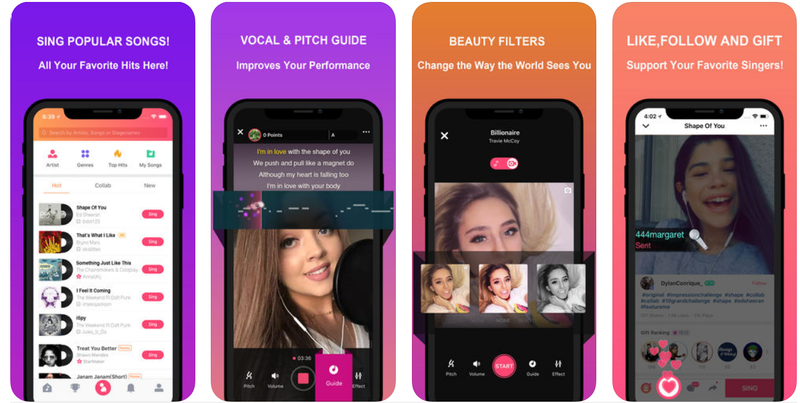 The app also adds sounds effects to your voice while you sing. Hence, as a result, you always sing perfectly. Moreover, it allows you to use the pitch correction feature which will help you in real time tuning. Also, there are lots of video effects are available in the app. Like in your videos you can add effects like smoke, bubbles and fireflies and so on. 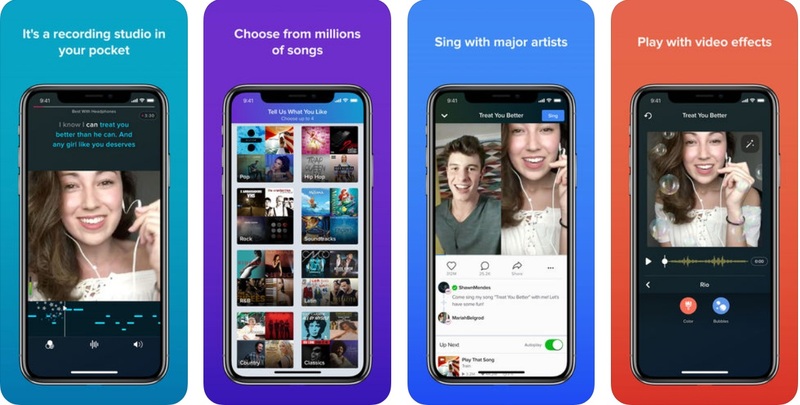 The Voice: Sing and Connect are also one of the Best karaoke apps for iPhone. The app comes with a bunch of great audio effects which makes you sound like a star. Also, it allows you to record your music videos with cool filters and let you share them on social media sites. The app also has a huge collection of songs. Plus it updates itself with the latest releases every day. Hence you will never run out of songs to sing. Also, there are lots of other features are available in the app. However the app is not free, instead, you have to pay some bucks for it. You can get The Voice: Sing and Connect subscription for a week, month or for six months. At the next, we have the Red Karaoke Sing & Record app. This one is also one of the popular yet best Best karaoke apps for iPhone. The app is available as a free and premium version. With the help of the app, you will be able to sing and record yourself in audio and video format. The app will display the lyrics on your iPhone’s screen so that you can sing along. In addition to that, the app will also allow you to choose from more than 100,000 of songs. Also, they are adding new ones on a daily basis. You can record and share your videos on the app and connect with other users. Moreover, the app comes with lots of features. Like you can sing duets add sound effects to your voice. Plus there are lots of themes, and video effects are also available. Also, the best part of the app is that it can be installed on your TV as well. So if you are in some party and want to sing karaoke, then the app will definitely come in handy. The Karaoke Anywhere is also one of the best Karaoke apps for iPhone and iPad users. The app has a massive library of all the music that exists on the planet. With the help of the app, you will be able to record and mix your performance. As well as you can share them on different social media sites as well. In addition to that, this app comes with TV output. This means if you want to experience Karaoke on your TV without purchasing expensive devices. Then the app will definitely help you out. Also, there are lots of vocal effects, and video effects are available on the app which you will surely enjoy. Next, on our list, we have the SingPlay. This app also comes with a huge music library and lets you sing free of cost. 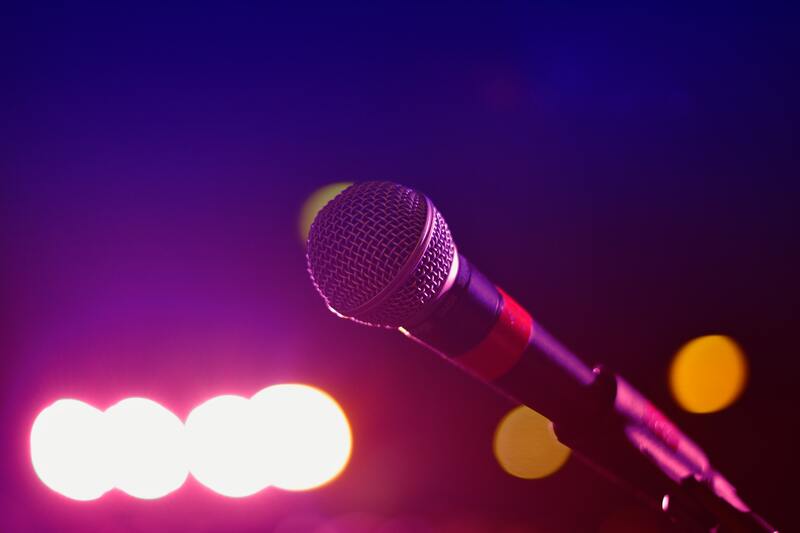 With the help of the SingPlay, you will be able to sing and record your performance using your own music. Plus you will be able to share them with your friends, family or anyone else. The app will automatically fetch all the songs that you have on your device. Hence, as a result, you do not have to stream a song online. Moreover, you can also film yourself performing and make a music video. Once you are done recording your video, you can use other tools to make volume correction and all. The best part of the app is that there is no need for an internet connection to use it. Plus the app is completely free to use. If you are some parent and want to teach their kids how to sing. Then Karaoke For Kids can be a great option for you. The app comes with two audio tracks, one for the voice and the other one is for instrumental. Also, there are total 20 of songs available on the app. Your kids will be able to record their recordings and share them on Facebook and other social networking sites. Also, it is entirely free to use. However, you should know the fact that this app will not offer you an amazing Karaoke experience. Instead, it will teach your kids, how to sing. Up next on our list we have the SingSnap Karaoke. This one is also one of the Best karaoke apps for iPhone and iPad Users. It is a free app which will give you a wide range of music library. 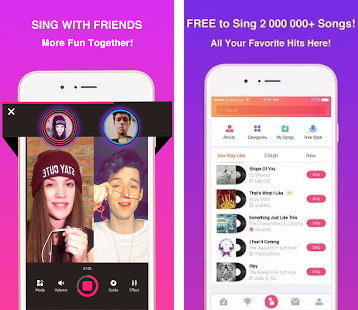 Even according to the creators of the app, SingSnap Karaoke has more songs than the paid Karaoke apps out there. Talking about the features, well the app comes with state of the art recording technology and has lots of audio enhancement settings. 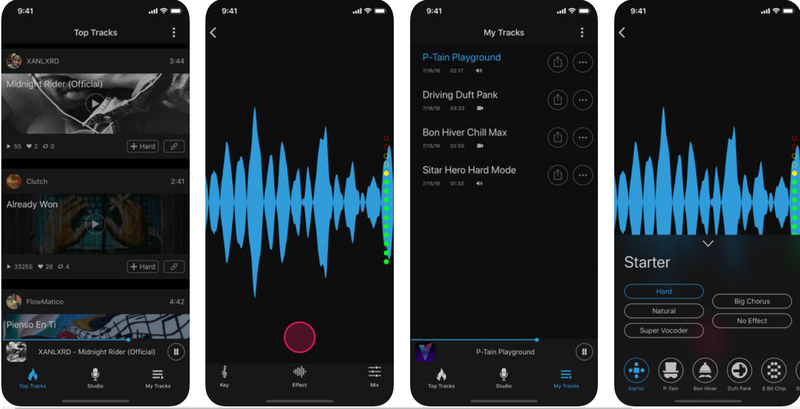 Using the app you will be able to record audios and videos and effects to them. Plus you will be able to share them on popular social media platforms easily. You can also keep the recording to yourself. The app also lets you create duets with your friends or family. However, the free version of the app only has 1000 songs. But in case if you want to increase the limit, then you have to get yourself a monthly subscription. In the end, we have the Voloco app. This one is a premium app that you can try out. Talking about Voloco, well it is a real-time voice-processing app which combines auto-tuning, pitch shifting and vocoding. you can pick a song from your library and sing along with the app. In between the Voloco app will automatically detect the key of the song and pitch correct your voice. Starter: The effects you know and love. Sitar Hero: Inspired by Indian classical music. So those were all the Best karaoke apps for iPhone and iPad. Now it’s your call to go ahead and have a look at these apps and choose the best one for yourself. Also for any questions, feel free to comment below.